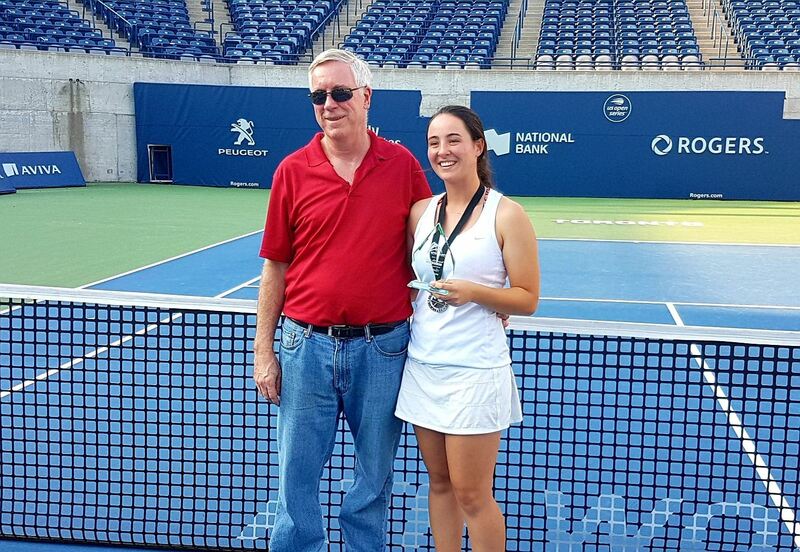 NCTC is proud of all of the programs available for JUNIOR TENNIS players at our club. SUNDAY AFTERNOON JUNIOR PRIORITY COURT TIME Sunday afternoons from 1:00 pm to 5:00 pm are priority court time for juniors. This is an excellent opportunity for the juniors to work on what they’ve been learning in lessons. CHALLENGE MATCHES Challenge matches may be arranged during junior times; this is a good opportunity to gain match experience, and contributes to the tennis ladder results. Talk to the club Pro Brian Draxl to see if this activity is suitable for you. JUNIOR INVITATIONAL EVENTS We plan to hold our very popular “Junior Invitational” events for intermediate and advanced players on selected Saturday evenings and Sunday afternoons during the summer. This may comprise singles and doubles play in an individual or team‐oriented format. Watch for notices in the clubhouse. JUNIOR CLUB TOURNAMENTS We plan to run our annual club championship singles tournaments for juniors again this year. Watch the junior board in the clubhouse for the notice of the tournament dates. 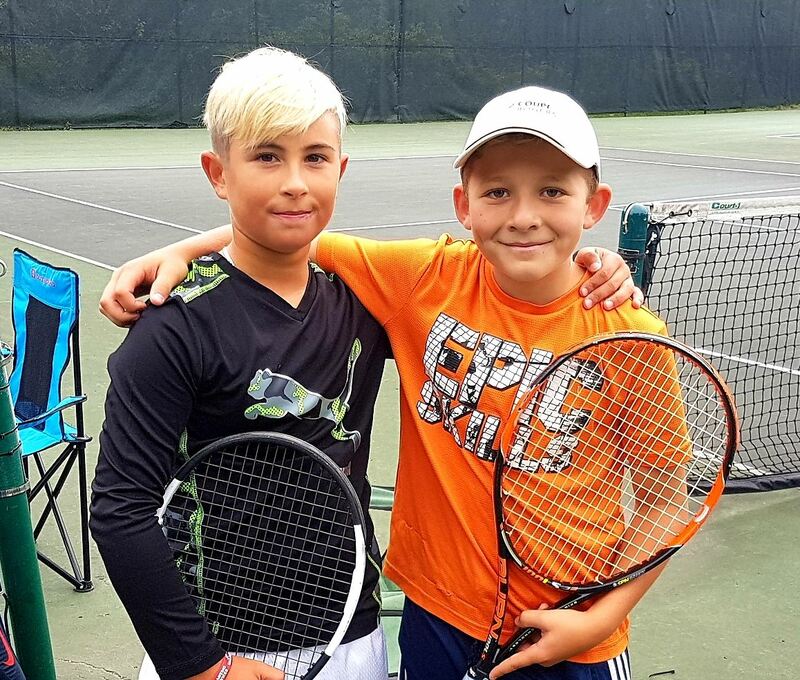 NCTC had 4 teams - 3 boys teams and one girls team (total of 20 players) - in the 2018 Tennis Rocks Festival, the junior club double's championships held on June 2, 2018 at the Aviva Centre. There were 65 teams, 320 players and 240 matches in 3 different events: Girls, Boys and U12/U10. All of our teams did very well and had a lot of fun. Our Girls Doubles Team won silver in the Championship Division! The ICTA presented 4 “superstar” awards for outstanding results to 4 of our junior players: Alec F., Annalia F., Anderson F. and Dallas R.. Lifetime ICTA Junior Achievement Awards were presented to Nicole C. and Glenn B. Congratulations to all our junior award winners! The junior club championships were held September 8 & 9, 2018 with a total of 34 players competing. Junior Open - Champion - Gabe C.; finalist - Alec F.
Girls U18 - Champion - Sabina R.; finalist - Annalia F.
Girls U12 - Champion - Karina G.; finalist - Alex D.
Boys U12 - Champion - Anderson F.; finalist - Sebastian B. Boys U10 - Champion - Augustin S.; finalist - Ethan T.
The annual Junior Achievement Awards are presented to the boy and girl who best represent the attributes of results, commitment, improvement and sportsmanship. 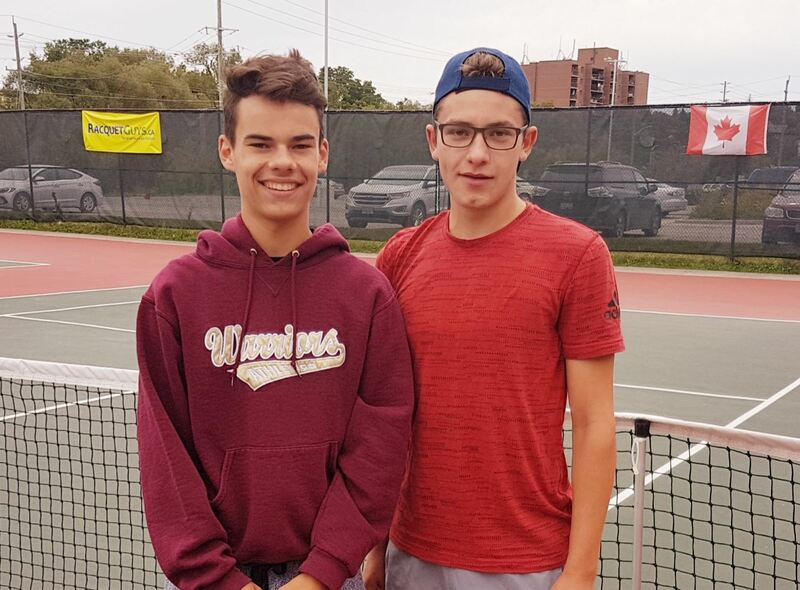 For the first time in our club history, the 2018 Boy's Award was shared between Dallas R. and Liam D. The 2018 Girl's Award goes to Annalia F.
Check the OTA website at http://www.tennisontario.com for the latest results. Contact Club Pro Brian Draxl for more information.